Storm Staff members on the men’s team included returning Sr. Team USA member, Lennie Boresch Jr, Steve Badovinac, and Warren Eales. 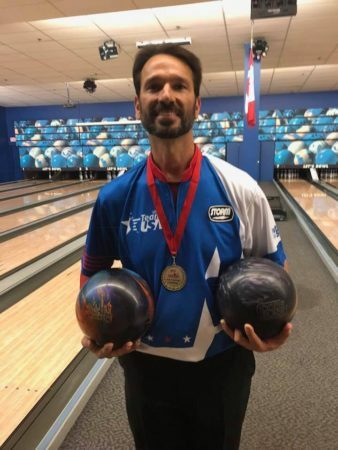 Badovinac, of Parker, Colorado, picked up five medals including gold medals in doubles, trios and team, silver in all-events, and bronze in the Masters competition. Badovinac found success using a pin down, no hole Code Black at 1000 grit surface and a pin up, no hole Code Black at 2000 surface. He also used a pin down, no hole Intense Fire at 2000 grit surface. 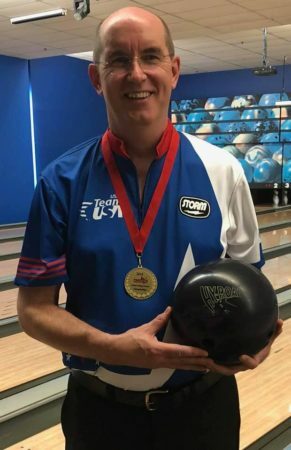 Eales, from Chandler, Arizona and recently won a PBA50 event in Florida this year, took home 4 medals, with golds coming in doubles, trios and team event as well as a silver in the Masters competition. 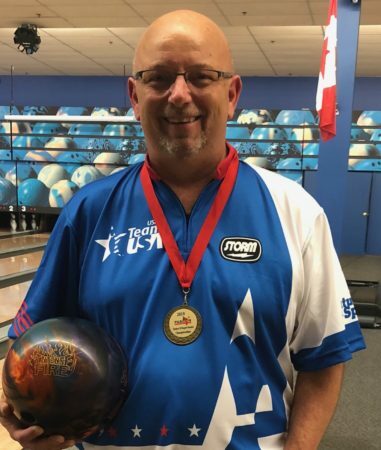 4-time PBA Champion Boresch, from Kenosha, Wisconsin picked up 3 gold medals as well, winning team, trios and all-events, and added a silver in singles for a total of 4 medals in the event. The Team USA Women were dominant as well, winning 10 medals overall. 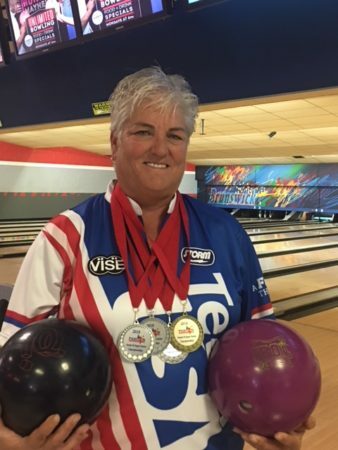 Tish Johnson, Colorado Springs, Colorado, picked up 2 silvers, one in all-events and one in team with her teammates, Sharon Powers, Luci Sandelin, and Paula Vidad. The trio of Johnson, Powers, and Sandelin earned a gold medal for Team USA. Vidad, a Storm staffer from Sun City, California, earned 2 medals during the week using a Storm Phaze II, Code X, and Intense Fire at 1,000 grit. She earned a gold medal with Sandelin in doubles and silver in the team event. In addition to competition, Vidad enjoyed exploring Canada with her teammates. 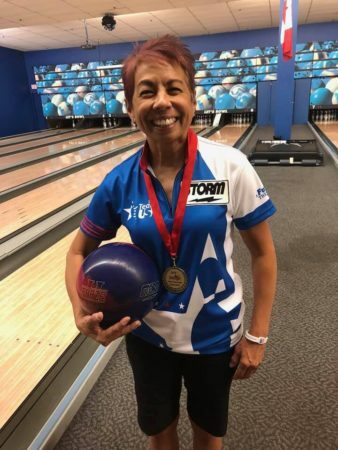 We’re so proud of these staffers representing Team USA and Storm Products on and off the lanes. Congratulations to all of those who earned medals throughout the week.